The salvage operation for the ship could take “weeks or even months,” pending hazardous weather conditions. About 1,400 vehicles -- including 1,200 made by Jaguar Land Rover, 65 Minis, and one Rolls-Royce Wraith -- could be damaged after a cargo ship carrying them ran aground off the south coast of England, according to media reports. Jaguar Land Rover has not given any indication of the value of its cargo, but news reports offered widely different estimates. The Telegraph said vehicles on board are worth at least 35 million pounds ($53 million). But Reuters said it calculated that cars could be worth close to 100 million pounds ($151.80 million). Range Rovers and other Jaguar Land Rover models accounting for most of the 1,400 vehicles aboard are covered by insurance, a spokesman for the UK carmaker, owned by India's Tata Motors Ltd., told Reuters. The media reports said the vehicles were being shipped to the Middle East, but website Vessel Tracker indicates the ship was headed to the port in Bremerhaven, Germany. 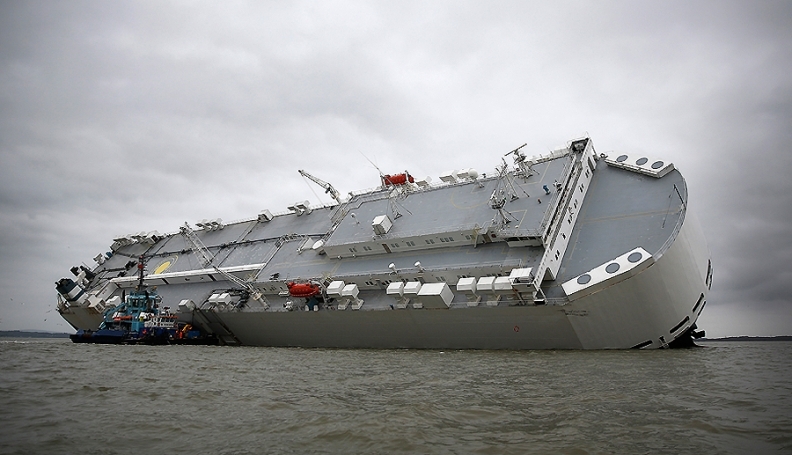 The Hoegh Osaka ship, while sailing down the Solent strait Saturday, was purposely run into Bramble Bank, between Southampton and the Isle of Wight, to prevent capsizing, BBC News reported. The vessel was stuck at the bank Monday when salvage experts tried to steady it. The Maritime & Coastguard Agency told The Economic Times that the salvage operation could take “weeks or even months,” pending hazardous weather conditions. Eric Williams, whose company, Williams Shipping, is working with the salvage team, told BBC News that the cars were well strapped down and not as affected as originally expected. “We were told that the cars were still strapped down in position, which is incredible,” he said.